Today the punk world lost a titan when Tommy Ramone passed away after a fight with bile duct Cancer at the age of 62. Tommy was the last surviving member of the influential punk band The Ramones. Acting as the band’s drummer, he also was the producer for the band, and after leaving The Ramones after their third album, Tommy continued to produce the band’s albums, and went on to produce many other influential punk albums of the era, playing a key role in the punk movement off the stage in many different capacities. Tommy Ramone was one of these “jack of all trades” guys that would do whatever it took to get the music out to the people. But what a lot of people didn’t know is that Tommy also had a sincere passion for old-time country and bluegrass music, and pursued it heavily later in life. In the mid 2000’s, Tommy Ramone formed an old-time band with Claudia Tienan of the band The Simplistics called Uncle Monk. They released a self-titled album in March of 2006, and did numerous shows and tours around the country. 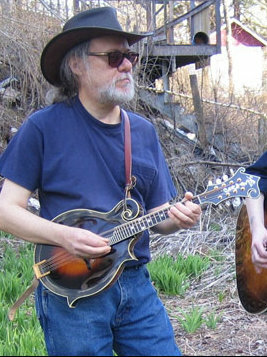 Tommy played mandolin and some banjo, and in the old-school style, would lean into the microphone for solos instead of playing through a pickup. They would cover The Carter Family and other greats of country and bluegrass music’s past. Uncle Monk was working on their second album when Tommy’s Cancer sidelined him. He also worked with songwriter John Castle at the Levon Helm Studios on Castle’s 2011 album Last Bird Home. Uncle Monk also played at the legendary Bluebird Cafe in Nashville, and on Music City Roots during their run. RIP Thomas Erdelyi, aka Tommy Ramone. 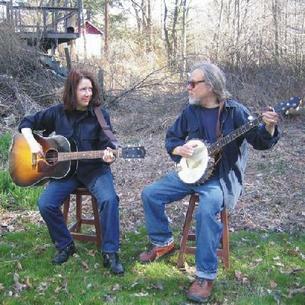 I didn’t know anything about Tommy Ramone’s interest in bluegrass-style music. I think that Chris Ledoux died from the same kind of cancer. This is sad to hear. I was a huge Ramones fan growing up and still am to this day. I remember seeing Uncle Monk on PBS (Song of the Mountain was the series, I believe) and really liking that as well. I thought it was a great that someone I grew up listening to was playing the music I love as an adult as well. No original member of the Ramones are left anymore. That is just … awful to think about. The Ramones are my favourite band of all time. The only music I listen to is country and the Ramones. A sad day, indeed. Rest in Peace, Tommy. Thanks for this piece, Trig. The first Ramones album is one of my all-time faves, and I knew Erdelyi produced The Replacements’ ‘Tim’ (another favorite), but I wasn’t aware of this aspect of his music. Tommy produced an entire album of my friend Zane Campbell’s music. It was a punk record. Zane was surprised to find one of his aunt Ola Belle’s records in Tommy’s personal record collection, and it inspired him to go back through his family’s music and start playing country music. Zane’s band was broke, and when he asked Tommy what they owed him for producing the record, he said “a joint is fine”. Really great guy. RIP. Trigger, thank you so much for sharing this piece. Great read. I loved watching the video as well. He looks very happy playing that music.